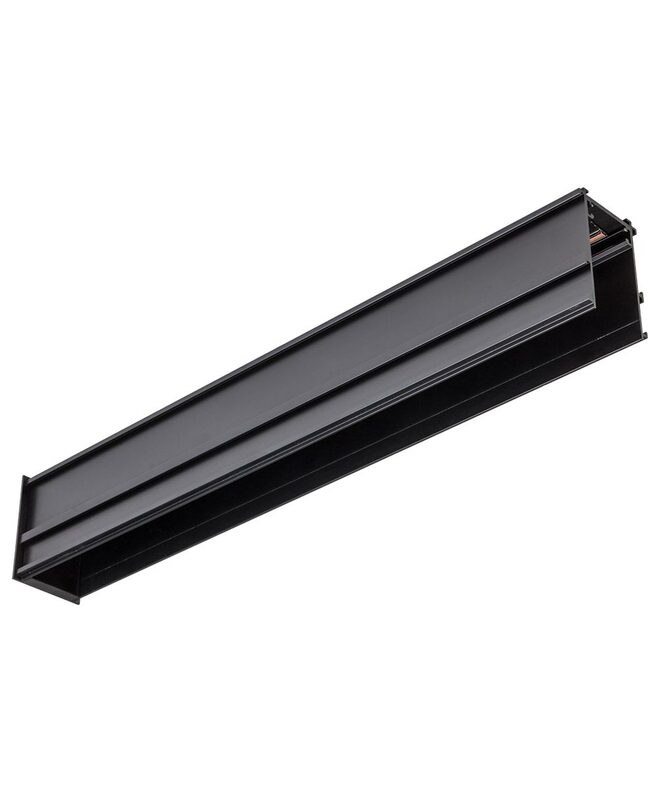 The KLICK track is a recessed, trimless or surface-mounted lighting system. The track system can accommodate a variety of LED lighting modules and fixtures to deliver beautiful lighting designs. 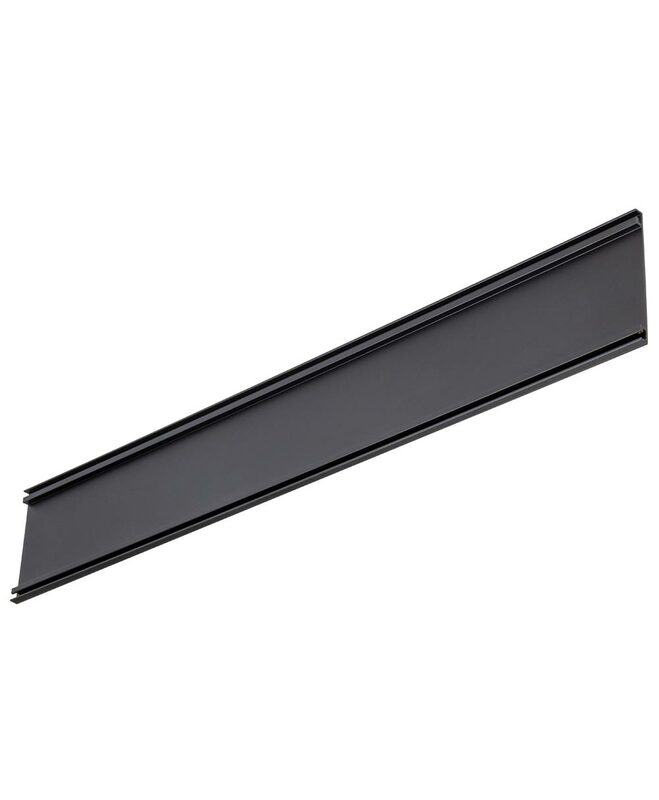 Constructed from aluminum, this streamlined profile track extrusion can accommodate a variety of complementary parts and accessories. Finished with anodized black or flat white coating. Two copper conduits provides power supply from compatible 24V DC drivers (100W max. - driver sold separately) to multiple KLICK lighting modules and fixtures. End cap with 15" SVT FT2 wire for wiring to compatible driver. 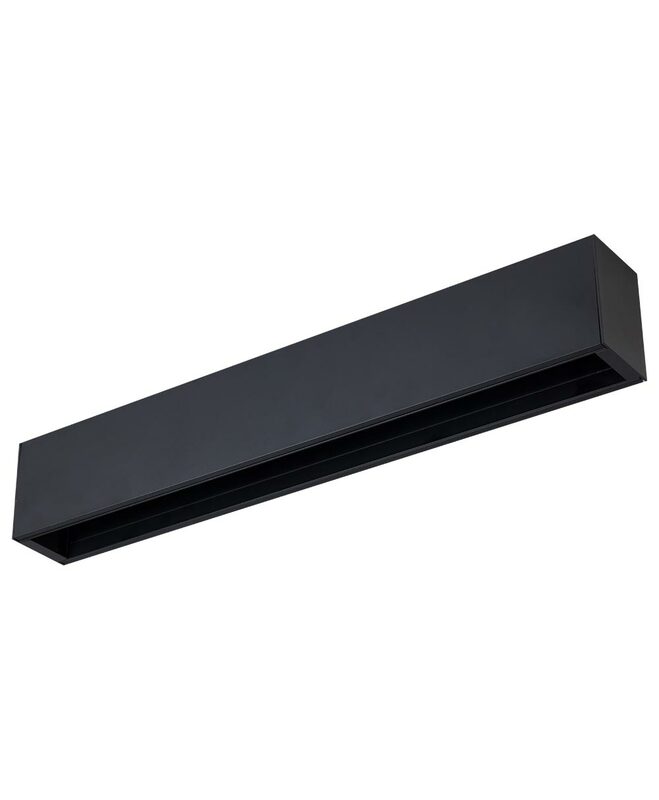 This track system can be flush-mounted using provided keyholes (spaced 12" apart). Also available with trim attachment for recessed applications and trimless adapter for trimless-look applications. Drywall channel (sold separately) is available for trimless models. Track system can also be suspended using the KLICK suspension kit (sold separately).